Do you have enough hope to succeed in life? 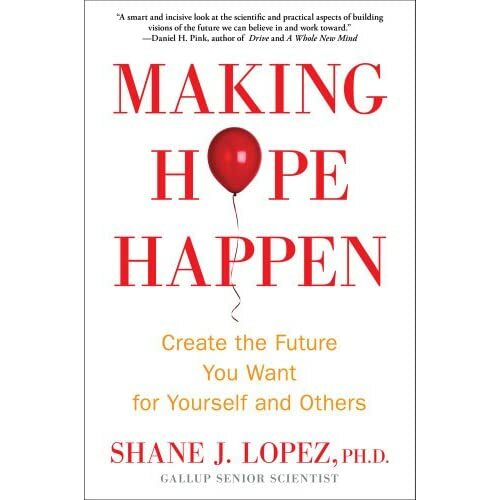 This week I was fortunate to be in the audience at the Gallup World Headquarters in Washington, D.C. where Shane Lopez, one of the leading experts on hope, launched his newest book, “Making Hope Happen.” He spoke for almost an hour, covering topics ranging from why hope is necessary for followers to how hope impacts student attendance. A few things struck me in a new way that I plan to use immediately with clients. 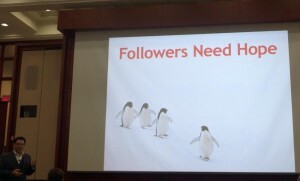 The most important takeaway for me was that people who are connected with what they want to be in the future, and are hopeful that they can reach their goals, are more engaged in what they are doing on a daily basis. The bottom line, he said, is that students who are hopeful show up for school more often, and workers who are hopeful about the future show up at work. They see and understand where they want to go in the future, therefore they see the relevance to what they are doing today. 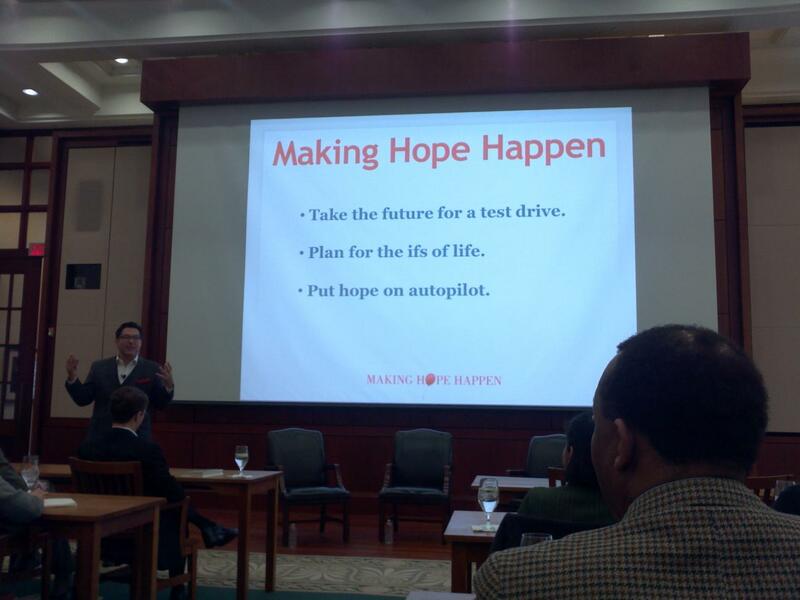 One of the topics I cover extensively in “Creating Your Best Life”is why hope matters so much in goal-setting. When you have hope, research shows that you don’t just think of more creative solutions to solve a problem, you also possess the certainty that you will have the ability to carry out those solutions, as well. 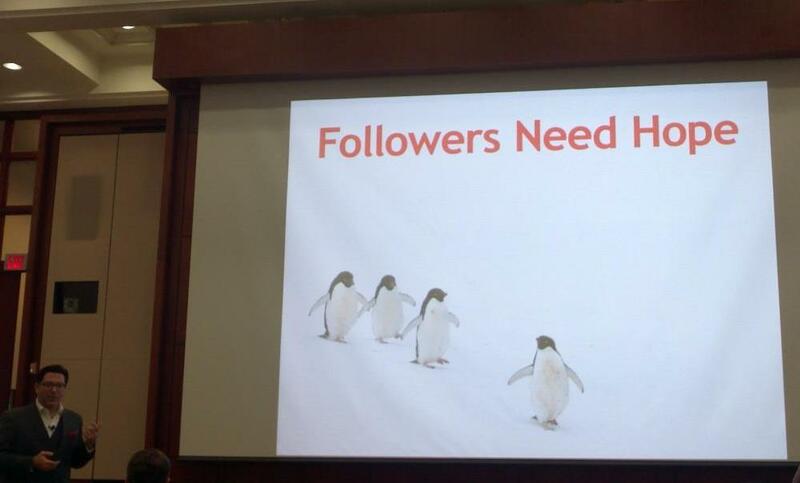 Hopeless people, on the other hand, set no goals because they don’t believe they have a future. When clients start a coaching engagement, it’s not uncommon for the VIA strength of “hope, optimism and future-mindedness” to be low. As clients begin to move in a positive direction and make progress on important goals, however, hope inevitably rises. And as hope rises, everything else improves. Shane Lopez, author of “Making Hope Happen,” shares thoughts about his new book and hope research at the Gallup World Headquarters on March 5, 2013. One of the tools I use to connect clients with their ideal future is to do the “Best Possible Future Self” exercise. In this three-day writing exercise people write for twenty minutes every day about how they envision their future if everything has turned out as well as possible. Research shows that this type of exercise clarifies one’s priorities and values, making it easier to commit to taking action immediately. Again, hope is an integral part of making this happen. Shane Lopez shares ideas about how to make hope proliferate more easily. Putting it “on auto-pilot” involves using Peter Gollwitzer’s implementation intentions work. When goals have become unworkable and impossible, hope is created by “regoaling” and removing as many obstacles as possible to success. I am teaching a new four-week interactive course – which includes much of the new information on hope – beginning on March 18th on the Ruzuku learning platform. You can proceed through the course at your own pace, with steps unlocking as you complete the reading, worksheets, video lessons and discussion prompts. I’ve been teaching for many years, but I’ve never had a reaction quite like what I’m hearing from participants, who say that the class was life-changing, eye-opening and different from anything else they’ve ever done. Click here to learn more about the course and how to enroll. I am also offering a free five-day course on Ruzuku, called “Your Best Life.” It gives participants a taste of what happens in the longer course, and looks creating your best life through such methods as knowing your purpose, applying your top strengths and understanding the impact of self-regulation and other people on your life and goal success. How Did I Kick Bulimia for Good and Stay in Recovery for Almost 30 Years? Does Alcohol Play a Role in Eating Disorder Recovery?